I've never made a pineapple block before and these were great fun! That said, they are a bit intimidating to trim without specialty rulers. With my hera marker, I did put an X in the center of the center square (see arrow in photo top left) and then used those as I aligned my ruler for each cut making sure I had 1/4'' seam all around (see arrow in photo bottom). Then as the block grew, I pulled in my larger rulers. Then, before adding the very last round of a contrasting dark color fabric, I trimmed each of the lighter color fabric to be 1 1/4'', figuring this out via trial, error and use of the seam ripper. The smaller pineapple blocks used coastal (137), zen gray (185) and teak (129). The larger pineapple blocks were summer sky (136), sea (138) with the same zen gray (185) center. Here are all my blocks so far. I am really enjoying this QAL! Your pineapples are pretty in those colors. 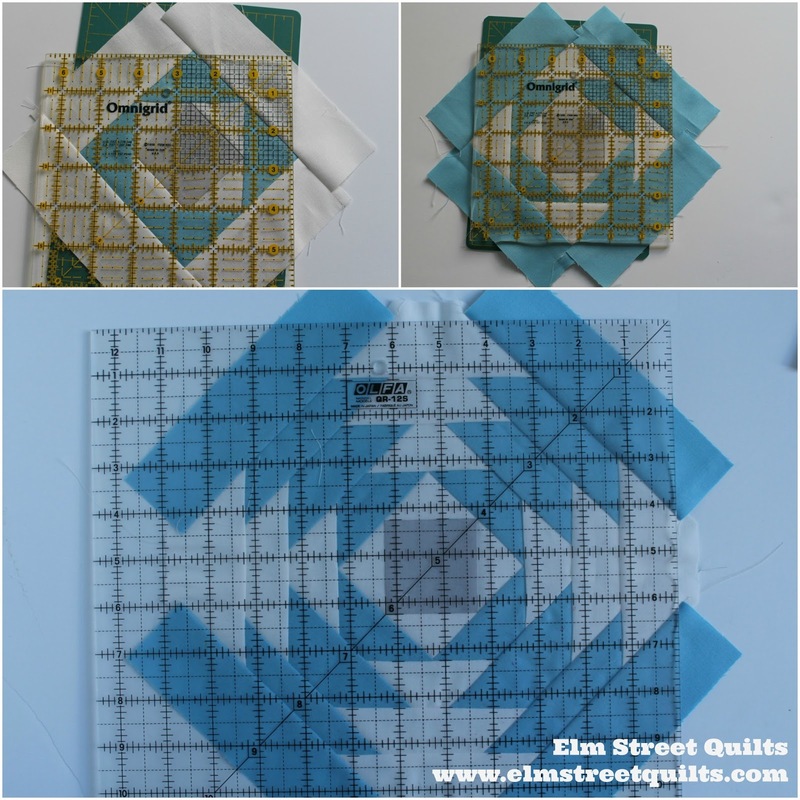 :) I am going to try the Marti Michell templates on pineapples for the Long Time Gone Quilt, I am curious to see if they reduce the bulk in the seams?! 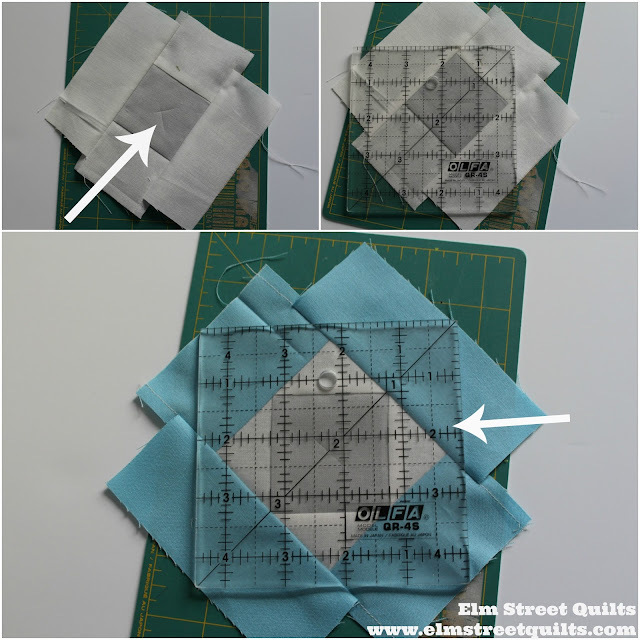 Great squaring up tips,Patty! Thank You! Wow -- these pineapples look great -- especially knowing you didn't paper piece or use the specialty rulers. Great job. It's good to know there is a way to make pineapple blocks without paper piecing or special rulers.